Resistance training is an integral part of fitness and weight loss programs. For those unfamiliar; don’t worry, it is just another word for weight training and strength training. You might already be performing various forms of resistance exercises as part of your regular fitness regimen. With these exercises, you can take your workout to the next level and expedite your weight loss plan. If practiced with the right technique, resistance training can help you build the body of your dreams, enhance muscle strength, and endurance. Weight training and body weight exercises are the most common form of resistance training exercises. 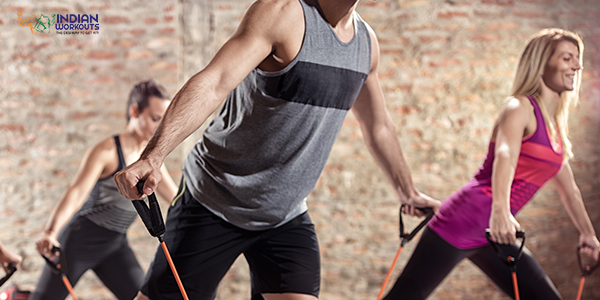 Not more than two decades ago, resistance training began to gain popularity. Due to its several benefits, it has become an important component of all the fitness programs. As the name suggests, resistance training workouts are a form of exercises in which you are working against an external resistance that resists since you’re the movement. More resistance means more work for the muscles as movement becomes harder. With the help of external force, we condition our muscles to work harder which eventually leads to building more power and strength. A regular and consistent resistance training program has many benefits. Over the years, several studies and researches have highlighted the goodness of fitness programs including body weight exercises and weight training exercises performed with the use of resistance. Reduces the risks of chronic conditions like diabetes, heart problems, back pain, obesity. 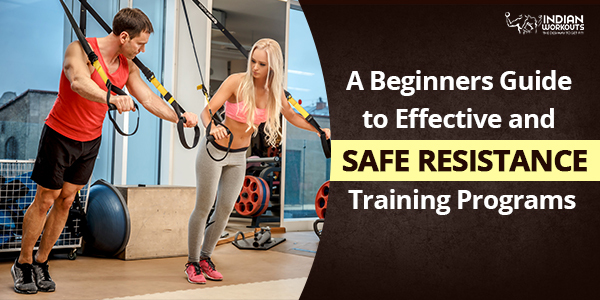 There are different forms of resistance training exercises that include the usage of free weights, weight machines, resistance bands, medicine balls, and your own body for resistance. 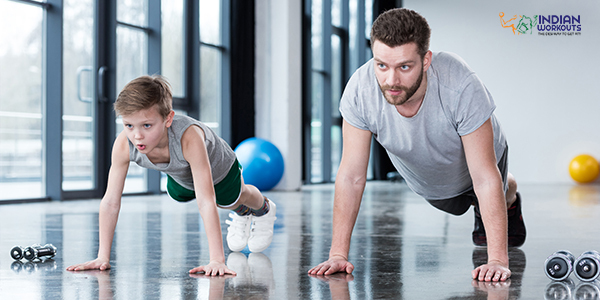 In the beginning, it’s important for the beginner to learn to control the weight, which is why they are asked to perform exercises using weight machines. Once you learn to control the weight and balance the body, the trainer will ask you to take the routine to the next level using heavier weights and other equipment. Until then, it is suggested to practice basic movement patterns repeatedly. Best resistance training routine will include the following components. Resistance training workout program: This is a holistic workout technique that works on all the major muscle group: shoulders, chest, back, glutes, quads, hamstrings, biceps, and triceps. Resistance or weight: The workout program shall include different types of weights that will work as resistance. It can be free weights, dumbbells, barbells, resistance bands, weight machines, and more. For resistance training at home, one can use their own body to create resistance. Repeated movements: To not only learn the correct technique of these workouts but also to achieve the ultimate goal of your workout regimen, it is important to perform these exercises number of times. Variations: This is the most important component of a good resistance training program. Introducing new workouts and challenges every day is basic to this form of training regime. Progressive overload principle: “There is no gain, without pain,” this famous saying is the underlying meaning of progressive overload. This form of exercise is usually done to make muscles stronger and increase endurance. In order to achieve this, it is important to overload to make your muscles work harder and become stronger. You must lift weights that are heavier than what your muscles can easily lift. The weight must cause muscle fatigue and force you to push further. Until you reach your goal, it is suggested to keep increasing the resistance or weights to your lifts. Precaution: The beginners must learn the right technique of the exercise before adding resistance. Do not increase the volume or weight, until you reach the point where your muscles are accustomed to the previous weight levels. How frequently should you perform resistance training exercises? A beginner does not need more than two-three sessions per week of weight resistance training to get closer to their goal. A session maximum of 45 minutes is sufficient and must include rest periods. The impact of the resistance training workout lasts for 72 hours before it begins to fade away. Hence a rest period of at least 48 hours between two sessions is recommended. Also, each muscle group must be rested for at least 2 days to gain maximum benefit. Consulting A Doctor: This is the first step to beginning this form of exercise routine. By now, you know a resistance training routine is intense and challenging. Therefore, it is important to consult a medical practitioner before beginning this type of workout regime. Pre-screening and a consultation with the doctor will help identify medical conditions and related limitations. 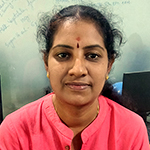 It is useful to determine the risks and precautions that need to be taken. Practice With a Professional: Resistance training at home may not be advisable to a beginner. In the beginning, resistance training exercises are recommended to be performed under a professional’s supervision. It will help you learn the correct technique and prevent an accident. First and foremost, acing the basic movements and then moving on to resistance training is the key to effective performance as a beginner. Warming Up: Not only for resistance training workouts, warm up is essential to any form of fitness routine. In order to prevent any injury, reduce the risk of accident and attain increased flexibility during workouts, it is important to start with basic warm up before getting to resistance training machines. A few stretches, a bit of cardio exercise like cycling, brisk walking, and slow running is all you need to perform before beginning the actual resistance training for weight loss or other purposes. 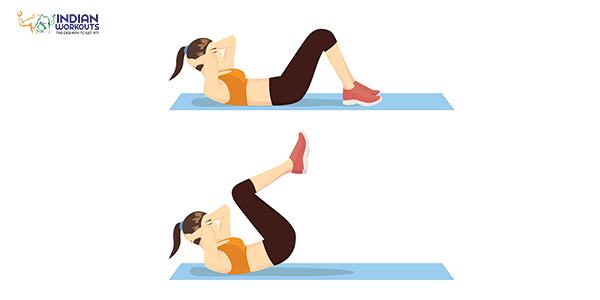 Workout regime for beginners: For safe experience and positive results, a beginner’s program must comprise of just six to eight exercises targeting the major muscle groups of the body. It should not be performed for more than 10-12 repetitions in one set of each exercise. Maximum of two sets of each exercise is enough for the starts and two times a week. The number of times the exercise is performed, and the intensity should gradually be increased after following this model for at least two weeks. Choose the right weights: A beginner must be very careful with weight resistance training exercises. Always begin with what feels comfortable to you. You should be able to handle the weight until you learn the right way of executing the exercise. Overloading your muscles even before they are ready to take the stress, will only cause more harm than good. Rest: Another important part of any workout is the resting period. You must not skip this. Short resting periods between sets will help your muscle to gain their strength back, to perform the next set. A brief rest of 1-2 minutes is a must. Muscle Recovery period: When we perform exercises, we force muscles to tear and grow stronger. Muscles need recovery and repair time after each workout. Any form of soreness and pain in the muscle is an indication of recovery, and when it is in recovery it is important to let it happen. Targeting the same muscle again can cause more stress and stop the growth. Therefore, wait for at least two days before hitting the gym for a resistance training session again. Stay hydrated: This is the golden rule of all fitness programs. Having adequate amount of water will provide energy and keep you from getting dehydrated. Please note, this plan should be followed for six weeks and should be executed on Day 1, 3 and 5 of the weeks. Start by getting familiar to resistance training machines. Warm up with a few dynamic stretches for up to 15 minutes. Do 10 minutes of cardio exercise like cycling, brisk walking, jumping jacks etc. Do at least eight variations of different resistance training exercises and body weight exercises, targeting at least two of the major muscle group. Perform at least two sets of each exercise with 10-12 reps/ repetitions. This can include body-weight exercises, free weights, weight machines, medicine balls and more. It is important to start with the appropriate weights that you can handle. Either you can perform a circuit training by working on all the major muscle groups or you can target two muscles groups on each day of resistance training session. Never miss a warm up. By now, your muscle must have accommodated to weights you used in Week 1-3. Increase the repetitions to 10-15 reps. In the coming weeks, you will take your workout sessions to next level by increasing the sets, intensity, and weight. Also, you can learn to use barbells and other complex workouts. Here is a list of resistance training exercises that you can incorporate in your fitness plan. As you all know resistance training workout can be performed by using your own body or equipment like free weights, resistance machines, and resistance bands. Following are a few exercises using various tools. Make sure you learn the technique before advancing to the next level. Most of us are familiar with a typical plank. However, a side plank is a more effective way of creating resistance and building core and back muscles. Technique: Begin lying on your side and slowly lift your body with the support of one foot and elbow. Raise your torso and make sure it remains lifted. Do not let it sink. Squeeze your obliques and hold this position for 30 seconds at the beginning. With passing time, go up to holding it for 2 minutes. Repeat this exercise five times. Technique: Stand straight with your back up against a wall. Make sure your legs are shoulder-width apart. Engage your core muscles and pull your navel toward your spine. Slowly move into squat position. Hold this position for at least 30 seconds and perform three reps. When practicing resistance training for legs, you will often perform this exercise. Technique: Lie down straight on your back and engage your core muscles again. Slowly, lift your legs up straight. You can also, keep your one knee bent and take the other leg up straight. Repeat 10 times for set of three. This workout uses most of the major muscles and is a very effective exercise. It helps in burning calories and muscle strengthening. Technique: Begin with plank position, lower your body and chest down. Then, push your body away from the ground and come back to plank position. 10 repetitions for three sets are good for a beginner. Once you have learned the basic movement of lunges, go for full depth lunges by adding dumbbells or barbells of suitable weight. 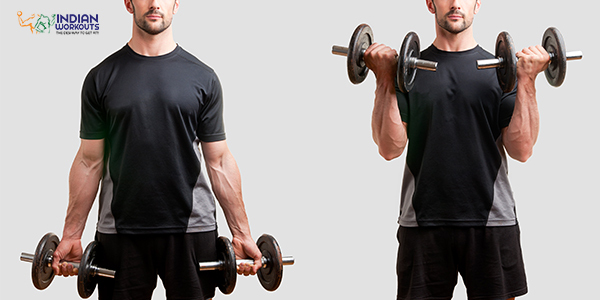 Technique: Holding dumbbells with both your hands on your sides, begin in standing position. Take one leg forward and slowly drop your hips. Keep going down until your rear knee touches the ground. Make sure your front leg is almost in 90 degrees. Then slowly come back to standing position. Repeat it with opposite leg. Perform 15 repetitions for three sets. This particular resistance training exercise uses all the major muscles in the body. However, this is not suggested for an absolute beginner but it can be modified as per the clients’ need. Supported bodyweights squats can be performed for the new trainee. Technique: Begin in standing position with Barbell supported on top of your traps. Keep your chest up, head forward and feet hip-width apart. Slowly, dip your hips by flexing the knees. Keep the middle as straight and upright as possible. Keep going down until upper legs touch lower legs. Stop here and begin to ascend in the starting position. 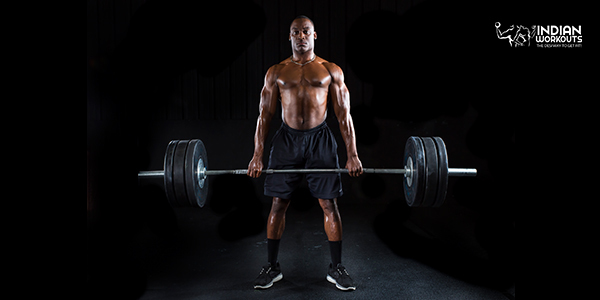 Another great resistance training exercise with free weights is deadlifts. Again, it is not suitable for beginners, but it can be modified. Technique: Place the barbell of suitable weight on the ground. Stand straight with your foot under the barbell. Bend over and grab the bar. Before lifting it up, bend your knees until the shin touches the bar. Straighten your chest and lower back and slowly take the barbell off the ground and stand. As the name suggests, it targets the bicep muscle and it is quite effective in toning arms. Technique: Stand with feet shoulder-width apart and place the band below your feet. Grab the handles of the band firmly, keep your palms in front you. Pull your arms toward your shoulders by bending the elbow at the right angle. Practice 12-15 repetitions for three sets. This is an amazing workout for the core muscles. Bench press is most effective with Barbells. However, beginners can use a resistance tube. Technique: Anchor the tube to a strong bench and lie down on the bench with face up. Grab the handles in each hand and position them to shoulder height. This is the starting position; now you extend the arms straight up. Bring down the handles slowly until elbows are 90 degrees before lowering back down completely. 10 to 12 reps in sets of three are perfect. 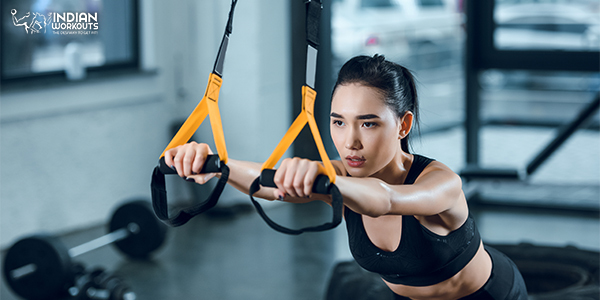 While resistance training exercises with free weights can be quite challenging for beginners, resistance training machines are relatively easier to handle and learn. Learning correct postures for free weight training can take some time. However, under the supervision of an instructor, machines are easier to master. Beginners can use these machines at the very beginning of their resistance training workout plan. Chest press, lats pull down, cable biceps and triceps, rowing are some of the best resistance training exercises that can be performed using these machines. At first, resistance training might seem difficult, but with more practice, it becomes easy to perform. Incorporate these weight resistance training exercises to enjoy sound physical and mental health.